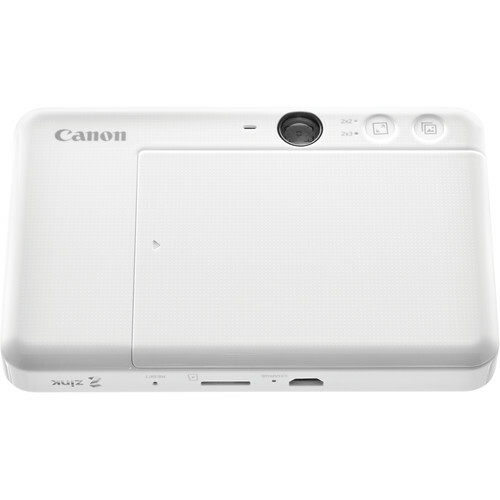 Canon has launched two instant camera printer for young people and also a move to compete with Fujifilm Instax. Canon IVY CLIQ and CLIQ+ will allow you to take photos in square frames (2×2) or horizontal (2×3) and then print out the available film sheets. Both also support 8 LED ring light for to capture a bright selfie. 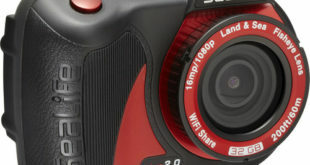 Canon IVY CLIQ+ comes with an 8MP image sensor as well as microSD slot and the ability to reprint to share later with friends. Around the lens, Canon also attaches a mirror to help users take selfies easily in a situation where there is no screen rotation. In addition, it also has a ring of bright LED lights to capture selfie when it is dark. The IVY CLIQ+ also supports mobile app feature and select other features the IVY CLIQ lacks. The Canon’s Mini Print App for Android and iOS, which receives images from the camera over Bluetooth. 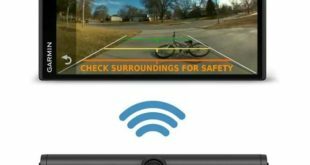 Device owners can use the app to apply image filters, create collages, and print 2 x 3in / 5 x 7.6cm photos, as well as remotely triggering the camera’s shutter and setting a timer. 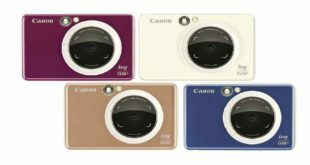 The Canon IVY CLIQ+ instant camera printer has been priced at $159.99 and already available to pre-order via Bhphotovideo.com in Sapphire Blue, Ruby Red and Pearl White color options. 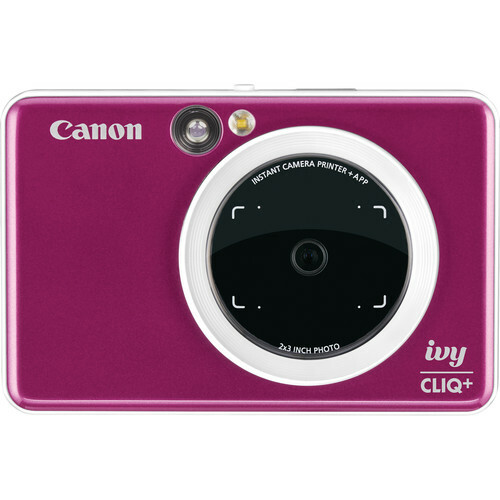 Meanwhile, the Canon IVY CLIQ comes with a slightly lower a 5MP image sensor and no bright LED backlight, only mirror. Both can use Zink paper, both with an optical viewfinder and USB charging. 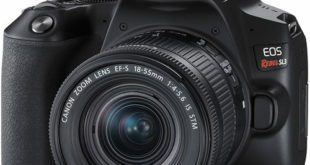 Each camera will be able to hold 10 paper sheets for taking and printing photos. 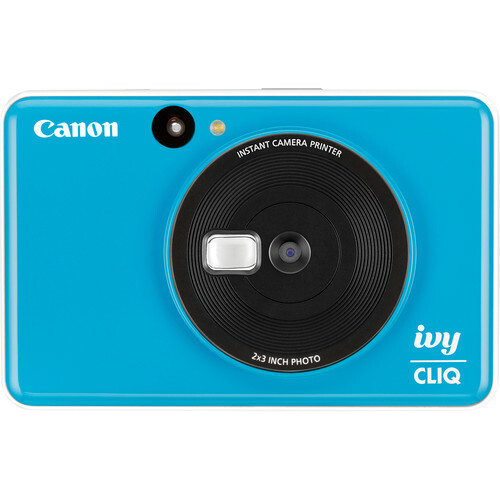 The Canon IVY CLIQ instant camera printer has been priced at $99.99 and is also available to pre-order via Bhphotovideo.com in Bumblebee Yellow, Ladybug Red and Seaside Blue color options.